The Tuxedo knot offered by Elite Razor has excellent backbone. Simpsons Chubby 2 comes to mind. And I just replied to a post by a member who found his Duke too stiff / not able to splay. (10-31-2018, 08:38 AM)wimbouman Wrote: Simpsons Chubby 2 comes to mind. I initially thought the same of my Chubby 2. That is, until I learned how to apply just the right amount of pressure to make it splay. 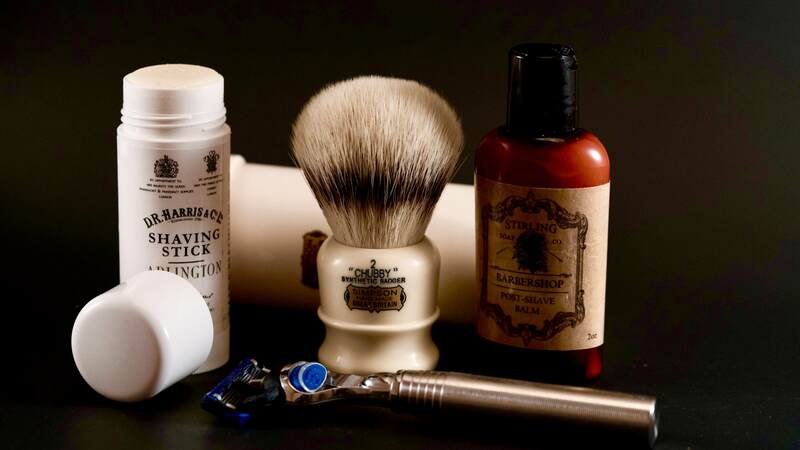 As with all things wet shaving, there's a learning curve. I looked at the Simpson Chubby 2 and apparently its bristles are made from badger hair not synthetic materials. They have a chubby 2 synthetic. Stirling used to sell a 26mm knot set deeper in the handle than the Kong brush. I use this as a travel brush and it has a lot of backbone. BullGoose sells the 'Scanlon." It is a small brush, but with surprisingly good backbone. I wish they would make a larger sized one and I would happily pay double for it. The Chubby 2 synthetic and the Mule K257 models also have a decent backbone. It does take a few minute tweaks to the routine, but it works like a charm. It is a staple in my dopp kit, great brush. I'll cast my vote for the Asylum Scanlon. It's a small brush but incredible knot strength as good of a backboned knot as you need. But, it's small. I think it'll be a great travel brush! I have a dscosmetic synthetic bristle green handle shaving brush.It has very lot of backbone.The price is only $16.7 you can try to search it.